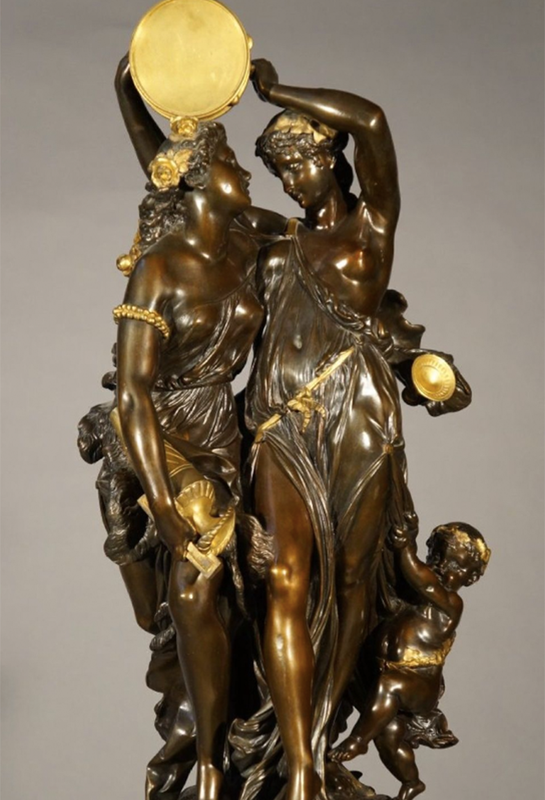 Albert-Ernest Carrier-Belleuse, 1824-1887, was one of the most important sculptors of the 19th century. Unlike some of his contemporaries, Carrier-Belleuse had a career that expanded beyond France, as between 1850-1855, he worked at Mintons, in England. Then on 1871, he worked in Brussels. In France, he was an important figure in sculpture, as he was the founding member of the the Société Nationale des Beaux-Arts, for which he made an officer of the Legion of Honour. His most famous assistant was Auguste Rodin, who worked alongside Carrier-Belleuse from 1864-1870. 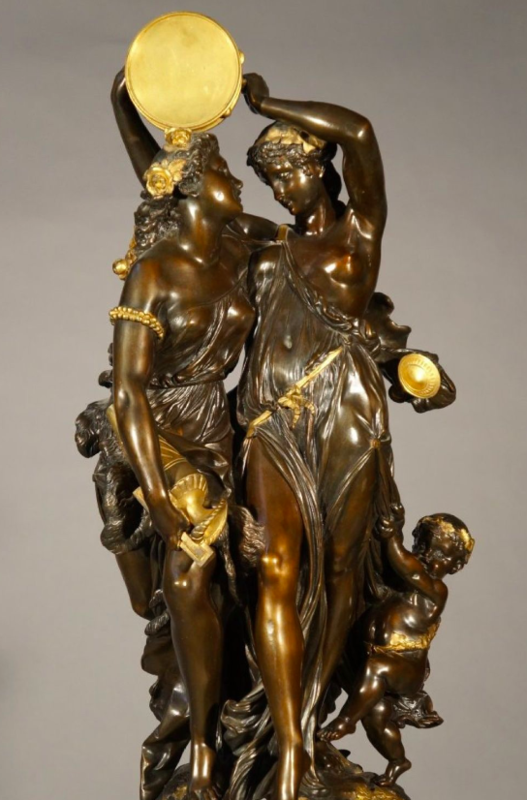 During his time in Brussels, the pair worked on Carrier-Belleuse's sculpture at the Brussels Stock Exchange. One of Carrier-Belleuse's most iconic pieces is The Abduction of Hippodameia, which portrays a centaur abudcting Hippodameia, daughter of Oenomaus and wife of Pelops, on her wedding day. In 2013, at Christie's, Carrier-Belleuse's life size bronze work of Diana sold for £157 875, against a pre sale estimate of £50 000-80 000. Check out realised prices for Albert-Ernest Carrier-Belleuse here. Expertise Renard's sale on 1st April includes this work by Albert-Ernest Carrier-Belleuse. Tambourine Bacchante is estimated to fetch between €3 800 - 5 000, but with recent figures for Carrier-Belleuse high, this estimate could be smashed in the sale room. The sale will also include works of art, wine, ivory, furniture and timepieces.